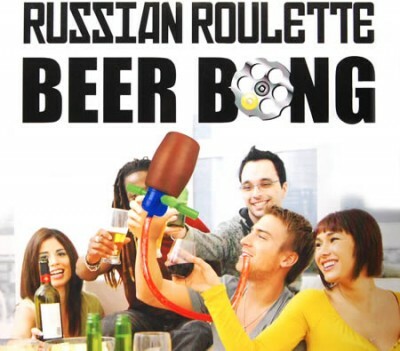 The Russian Roulette Beer Bong Party Drinking Game from CrazySales.com.au is one of the funniest of the drinking gadgets. Guests usually give this to birthday celebrants so the whole group of friends can use it after it was unwrapped. This drinking gadget is already featured in Youtube and several is now using this for Birthday parties and gatherings.